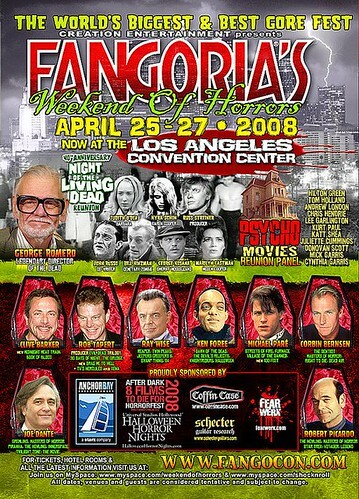 Fangoria’s Weekend of Horrors convention, this weekend! Also a big highlight at the convention this year is the 40th Anniversary Night of the Living Dead Reunion! This is going to be a big event on Sunday, so if you’re a big fan like I am, you may want to get there early to ensure a decent seat for the festivities! Be prepared to sit next to someone most likely friendly, but with small amounts of deodorant on!